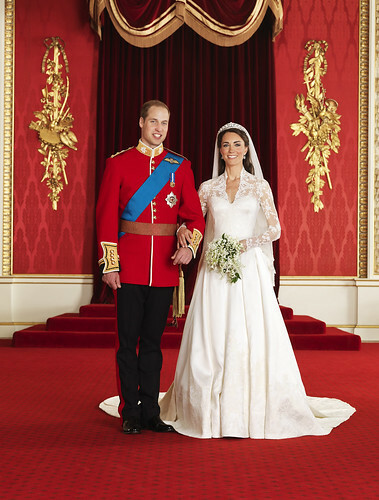 David Cameron has revealed his wedding gift to Prince William and Kate Middleton is a book about Anglesey. The Prime Minister said his present included "beautiful photographs" of the island, where the Prince is based as an RAF search and rescue helicopter pilot. In an interview with US journalist Katie Couric on the CBS Evening News, Mr Cameron said he thought the couple had "probably got everything". Explaining his choice of gift, he said: "He's currently serving in Anglesey, which is a small island off the coast of Wales where he does search and rescue, flies a helicopter - very brave. And I've got him a present to do with Anglesey." He added: "It's a lovely book and beautiful photographs and things like that." The Prime Minister said the royal wedding would provide "happiness and joy and light relief after some difficult times". Asked what the event meant to him, he said: "I think British people... we feel very deeply about the monarchy and the institution, so it's that mixture of the good looking prince and the beautiful princess, but it's so much more than that. It's this institution that's helped bind the country together. And it's got this amazing history that goes way, way back." He added the occasion was "an excuse for a bit of a party and some fun at the same time".